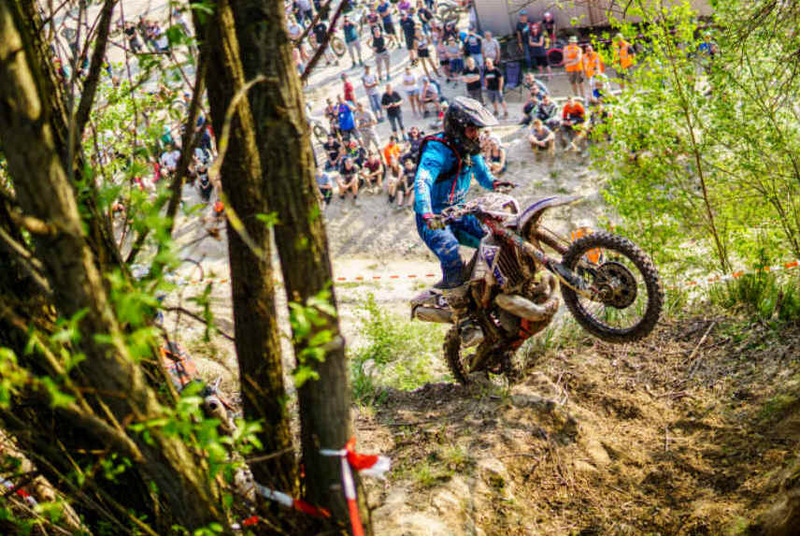 In its first season, the Hard Enduro Series Germany has had a bumpy ride. This is certainly desirable with the Hard Enduro, but certainly not when it comes to holding the events. After the Wiesel-X the ESX Neugattersleben has to be cancelled on August 18th. The reason for this is the extreme drought in Germany. Although it rained a little yesterday in the region, this is too little to bring the grassland fire index to a lower value. Sven Schimanski of MC Nienburg explains: "We were less affected by the forest fire level but rather by the grassland fire index. This is still at least 4 days at level 4 out of 5, which is clearly too high, which means that we do not get permission to carry it out. For the week until 18.08. where the race should have taken place there is still hardly any rain in sight, instead the temperatures are rising again to 30 degrees and more". For the organizer MC Nienburg who is celebrating its 60th anniversary this year this is especially hard but the HardEnduroSeries Germany is not the only series that is affected by it. The DEM race in Burg (about 30km away from Neugattersleben), the regional championship in Rehna and countless motocross races have already been cancelled. An improvement is also not immediately in sight. Positive to report is that there is a replacement run for the HardEnduroSeries Germany, which takes place on 03.11.2018 in Schwepnitz. Series manager Denis Günther is pleased about the new addition to the series: "We have been in contact with Quadpoint Schwepnitz e.V. since May. At that time we were talking about the replacement for the Wiesel-X, unfortunately there were still scheduling problems. So we are all the more pleased that it has now worked out and we can go into the season extension on 03.11.". The date on 03.11. has been deliberately chosen with the Quadpoint Schwepnitz e.V.. For the first edition of the "Isegrim-Enduro" there is hardly any overlapping of dates, an earlier date would have led to problems. Patrick Jentzsch from the organising team explains how the special race names come about: "We have the largest number of wolves in the region in Germany. Since the wolf stands for hardness, we find it an ideal name for a hard enduro." Schwepnitz is geographically located in the east of Germany, just northeast of Dresden. The entries for the run start on 03.09.2018 at 12.00 o'clock. But first the Melz Exdrähm is scheduled for 16.09.2018. Entries can still be made at www.hardenduro-germany.de .